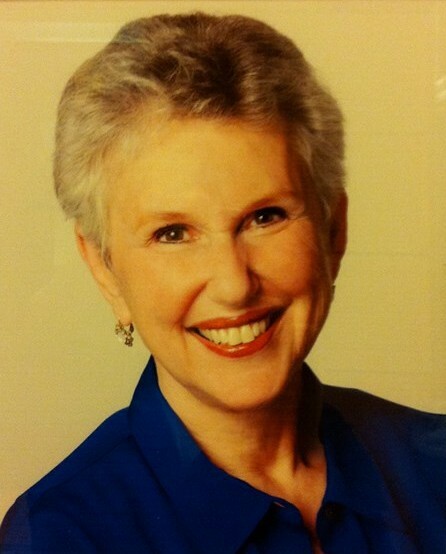 Libby Appel, the fourth artistic director of the Oregon Shakespeare Festival, served for 12 years and directed more than 25 plays. She championed ethnic and gender diversity in casting, and she placed a strong emphasis on production of new works before retiring in 2007. She continues to guest direct at the festival. We visited one afternoon in her exquisite home overlooking the Ashland hills. This is the first of a two-part interview; the second will publish in this space on March 27. EH: When you began directing theater, there were very few women directors. LA: When I was young, women didn’t do a lot of things. The role of women in the ’50s and early ’60s was just terrible. I can see that now, but I don’t know that I understood that then. My mother’s motto for me was always to “fulfill your potential,” and that’s what it was about. I had to do the best I could. It’s only when I look back, that I see what the challenges and the glass ceilings were. EH: Do you think the theater gave you an opening? EH: What makes a great actor? LA: I think great actors are courageous, unafraid to reveal themselves in their work. It’s a merger between you and the character, and you’ve got to meet that character. You don’t just play-act something, you have to find the truth of who that character is and find that in yourself. It’s always revealing something about you. Great actors have to have courage to do that. That’s the main ingredient — and, obviously, skill. I’m a great believer in acting training, but you can acquire skill. If you don’t have the confidence deep inside yourself to find what you’re looking for, or to let out what’s necessary, you’ll never be a great actor. EH: What makes a good concept play? LA: It has to come from within. I think sometimes concepts, laid on top, not only don’t do anything for the play, but detract from the play. I’m not a believer that plays should be set in Elizabethan times or any of that nonsense. These are plays that are living today, and you have to find the truth of them for the surviving audience. I’m not “a traditionalist.” All of my productions were non-traditional. Sometimes I think — I have been seeing it around the country for a very long time — that there’s just an idea stuck on top that keeps you from understanding the inner meaning. I do think there is a difference. EH: In your 2005 production of “Richard III,” you had an interesting concept. You introduced a chorus of women. LA: Richard III was not only greedy for power and unscrupulous but — besides being a monster — he also represented all of the power-seeking people in the world. I was saying that the real victims, the ones who lose the most in war — or when people are climbing the corporate/power ladder — are the women. They’re the victims. I felt this plight was important to represent. It became specific for me to bring out the theme of what happens when there’s a monster, like war or greed in the world. I think people can tell when the concept is coming from the heart of the play.